Genuine Fender® "Pure Vintage" Nickel string guide kit. 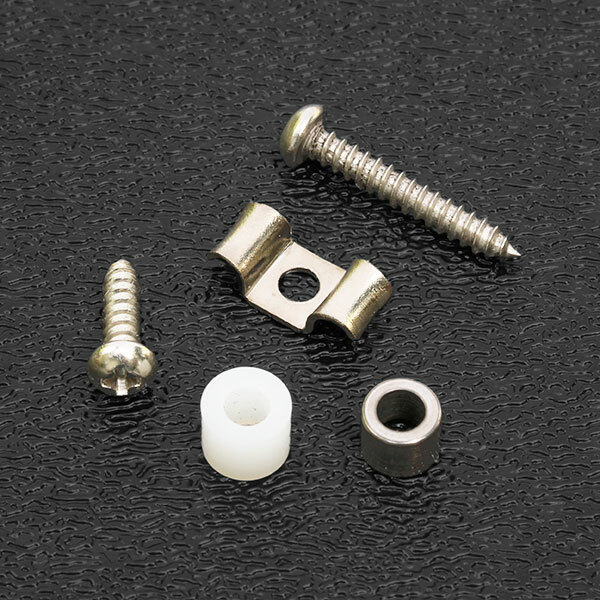 Includes 1 long and 1 short mounting screw and 1 steel and 1 nylon spacer. Short mounting screw would be used if you decide not to use either of the spacers.